Park’N Fly is Canada’s premier airport parking provider, whose footprint spans from Vancouver to Halifax. 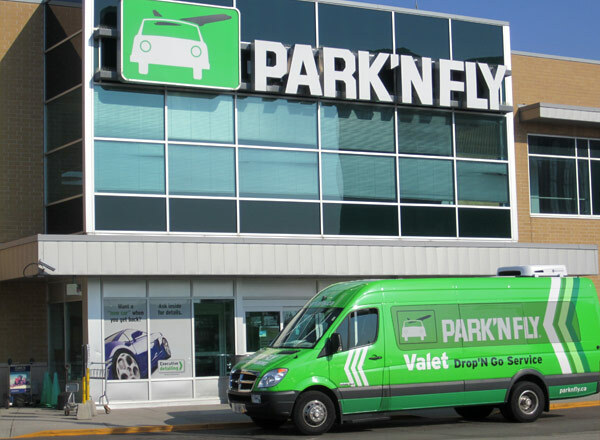 Today, operating in 7 markets, Park’N Fly offers consumers a choice of parking options, Valet and Self Park as well as ancillary services such as refueling, detailing, and oil changes. Delivering on the Park’N Fly promise, “Park Happy” is of paramount importance to all of our associates at each touch point of the customer experience. We understand that fast, efficient service is what our customers’ desire and we build products around this need. The promise as simply expressed,”Park Happy” stands for a hassle free, expedited service. Driving this experience is a portfolio of differentiated product offerings unique to Park’N Fly as available in each market. When you leave your vehicle with Park'N Fly, you can feel at ease knowing that each of our lots across Canada are well lit, fenced in, gated and monitored so that you can enjoy your trip with one less worry on your mind. Park’N Fly’s locations are conveniently located next to the airports. Our strategic locations, enable our customers easy access to our facilities, only minutes from the airport. Our 24/7 shuttle bus allows us to get you to the airport on time every time. In addition the many amenities and traveler benefits allow you to take some of the load off your mind and let Park’N Fly handle them, such as auto detailing, premium oil changes, and automotive maintenance, all done while you’re away.